Sakura Droplet in Sekiro Shadows Die Twice is an item you can get in the game, and you can use it to get more revives / resurrections. And, as you might imagine, you really want to get an extra revive in Sakuro, and the Sakura Droplet is the way to do it. Easier said than done. The Sakura Droplet drops from a boss, and even then, you still have to push further and speak to a specific NPC. That being the case, here’s our Sekiro Sakura Droplet – How to Get More Revives guide is going to show you how to get the Sakura Droplet in Sekiro, and how you can use it to get an extra revive. How to Get Sakura Droplet in Sekiro & Get More Revives? 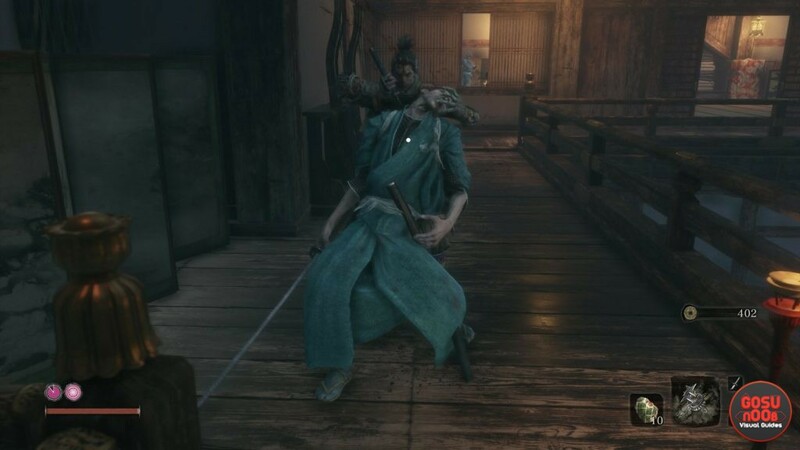 To get the Sakura Droplet item in Sekiro: Shadows Die Twice, you have to defeat the Lady Butterfly boss. You find her in the Hirata Estate zone, not too long after you dispatch Jozou the Drunkard. She’s a very tough enemy, and she will require a lot of manic dodging, using cover to your advantage, and knowing exactly when to attack. That said, there’s one quick tip we can give you: use Snap Seeds to dispel the spirits she summons to make the fight more tolerable. For more info on those, check out our Sekiro Snap Seed Locations – How to Get guide. When you finally manage to kill Lady Butterfly, you’ll get two things from her: a Memory (which you can use to increase attack power, as explained in our Sekiro Memory Mechanic – How to Increase Attack Power guide), and the Sakura Droplet. Now, plug onward through the game until you (spoilers ahoy!) defeat Genichiro Ashina. Then, speak to lord Kuro. Offer to help him find what he needs, and, at that point, you should have the option to show him the Sakura Droplet. So, that’s exactly what you should do. After a brief scene, you’ll be rewarded with an extra revive. So, yeah, when it comes to earning another revive in Sekiro: Shadows Die Twice, the game is really, really gonna make you work for it. The prize sure does sound like it’s worth it. On the other hand, one shudders to imagine what horrors lie beyond, if the game gives you another revive at that point.